Driven by professionalism, quality and the need to deliver exceptional services to our esteemed clients, we provide the best marquees for hire in Atlantic Seaboard. Our customers deserve the best; for this reason, we stock a wide variety of tents that they can choose from freely. Our tents are perfectly suited for any occasion. Should need help in choosing the perfect tent for your event then our qualified professionals are always ready and willing to help. All our products include delivery and installation services. We operate throughout Atlantic Seaboard and you can contact us at short notice, should you require a tent. Our products are 100% waterproof and can withstand strong winds. They can also be erected on most types of terrain. Without doubt we have the perfect product for every occasion! Our reputable marquee tent hire Atlantic Seaboard team is available on 021 300 3641. We also offer décor and drapery hire. 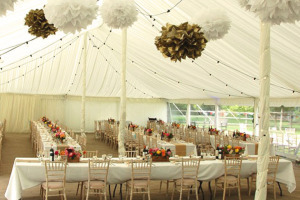 Our marquee hire company is dedicated to making your event a memorable function. For that extra wow factor, we can also suggest one of our Bedouin tents. Talk to us and get the quality that you deserve.